If this doesn't do it for you: my tumblr, my ‘gram, the unintelligible empanada truck. No, I just read the three books at the bottom. Numbers are ±3 orders of magnitude. 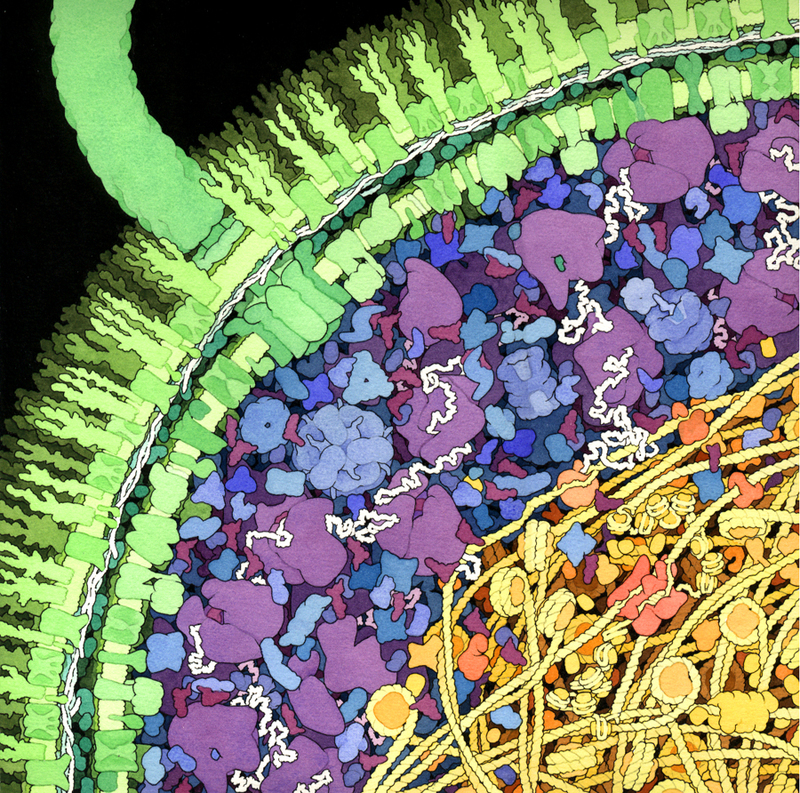 Maybe I would’ve been a real biochem head if my first exposure to it had been the work of David S. Goodsell. 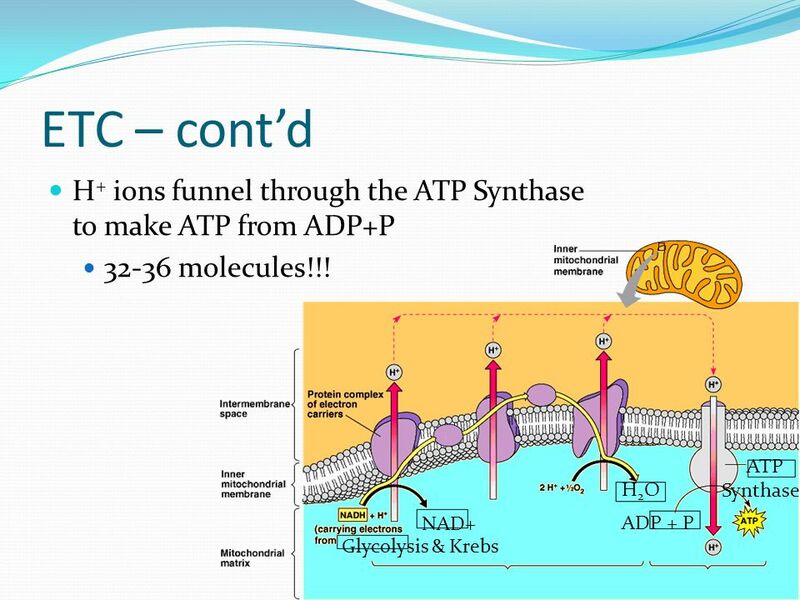 Every bio reading and lecture slide I had ever seen depicted proteins as magic blobs, somehow animated into doing all that delicate continuous work by starbursts labeled "ATP", WordArt arrows as the animating force of creation. Goodsell shows the exquisite lil’ mechanics of it all, proteins whirring, yanking, squeezing, linking, walking, frantically jiggling folded chains that make themselves and you. In living cells only a few essential processes are fastidious, and a few ATP-dependent proteins "tightly coupled" where spending some energy means getting some good work each time. The rest of the thousands of proteins come out of the factory a little glitchy, take a few steps back and only on average more steps forward, and through all that tolerate and make use of ten trillion collisions with water molecules per second. Life thrives in chaos, sees what sticks, is very precise in a few domains and catch-as-catch-can for the rest. An example of a bit of no-slip paired to mostly high-slip: the "central dogma" of biochem, DNA ▶ RNA ▶ the proteins that do the work of sustaining a cell. DNA mutations are neat in the fullness of time, but the next generation damn well better work like its parent or there’d be nothing fighting entropy today. So DNA replication is low-frequency, metabolically expensive and has a lot of checks. The cascade of enzymes that copy DNA make around one error per billion nucleotides, "like copying a thousand books and making only one mistake." Compare that to the high-frequency downstream dirty work of turning information into Life: protein transcription and translation. In the first step of making proteins, enzymes read DNA and make messenger RNA. These enzymes average one error per 10,000 nucleotides. That means the DNA ▶ mRNA process has one hundred thousand times as many fuckups as DNA ▶ DNA, which means about half of all RNA strands have mistakes. And it just gets sloppier: ribosomes put one wrong amino acid in the chain for every 10,000 it has to link, so at the end of all this one out of every 24 proteins has a misplaced amino acid. All those errors are, tautologically since I can write this down and you can read it, very okay. While a DNA screwup can kill a cell outright or permanently weaken its descendants, errors in RNA transcription and protein translation are non-lethal. Even good RNA is short-lived and disposable, so bad strands don’t make a lot of proteins or might not even work at all in the ribosome. And all proteins have a certain, mostly-brief working life. Malformed proteins get diced up and recycled pretty fast, so they don’t have a lot of time to do damage. Finally the information flows only one way: when you forget the eggs and make a nasty cake, the recipe doesn’t update to keep your error. Same deal here. A bad protein doesn’t reach into the nucleus and change the instructions to make it. I think that’s so cool! Life is a few bits of careful work coupled to an insane number of non-lethal, low-cost mistakes. I’m not kidding when I say that is lovely advice.